"This novel about family, love, forgotten music, and a despair that proves unbearable has one of the most harrowing and sustained descriptions of a mind in obsessive turmoil and disrepair that I've ever read. Haslett is a marvelously lucid and intelligent writer." 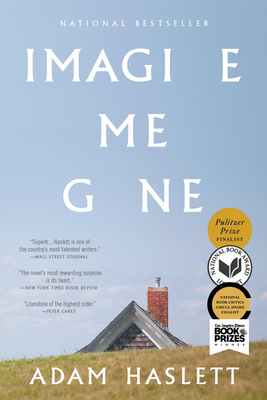 "Haslett's latest is a sprawling, ambitious epic about a family bound not only by familial love, but by that sense of impending emergency that hovers around Michael, who has inherited his father John's abiding depression and anxiety....This is a book that tenderly and luminously deals with mental illness and with the life of the mind....In Michael, Haslett has created a most memorable character. This is a hypnotic and haunting novel."